Safeway offers six hours of behind-the-wheel training for teens who have completed their classroom instruction elsewhere. Please note: If you completed your classroom with Safeway or one of its school programs, your Teen Package includes behind-the-wheel lessons and you can move directly to the “Schedule a BTW Lesson” tab above. Safeway’s six-hour package of teen driving lessons represents the minimum instruction required by Minnesota. The lessons consist of three, 2-hour sessions, with pick up at home, school or work. Click here for more information on Safeway’s behind-the-wheel training. If you are a registered home school student, you are able to complete your classroom training using one of the State-approved curriculums. After completion of the classroom training, you will need to obtain a letter from the Department of Public Safety which states you have met the classroom requirements. Register by clicking the Sign Up button below. Once registered, you will be prompted to download and print Safeway’s Service Agreement and related information. Mail, fax or email a signed Service Agreement and classroom completion certificate to Safeway. Mail check if paying by check. Call you to arrange to arrange to get a Blue Card to you. We can mail it or it can be picked up at our office in Roseville. Take the Knowledge (permit) Test. Wait for the hard-card photo permit to come in the mail from the State. Register the permit number with Safeway. If you finished your classroom training through your high school or another driver’s education program, we will need a Classroom Completion Letter from your classroom provider. 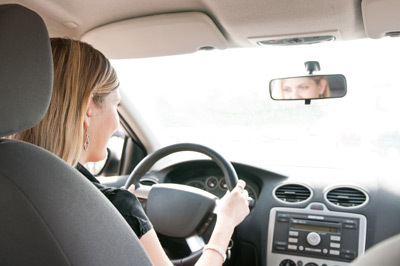 If you already have your Instruction Permit but still need your six hours of behind-the-wheel training, we will need a Classroom Completion Letter from your classroom provider (even though you have your permit). Call you to get your permit number.